This is my foster dog, Lele. Besides the two and a half-square inch, balding, reddish blotch in the center of her back, you wouldn't know it...that four months ago, Lele had been returned by her adoptive family to the city animal shelter, broken down in body and spirit: completely covered in thick, oily scales that both smelled rancid, and had caused her fawn colored coat to fall out in patches. Not having seen her at her absolute worst (she'd been receiving treatment for several days before I picked her up at the shelter), I even have a hard time picturing her in that condition. In the time she's been in my care--with vigilant use of medicated shampoos and creams, ear cleaners, myriad prescription medications, veterinary consultations, and the best flipping food ever (grain free Wellness® CORE® Wild Game recipe kibble), besides the persistent itching, icky ears and previously mentioned back blotch, she looks pretty darn good today! But, y'all! 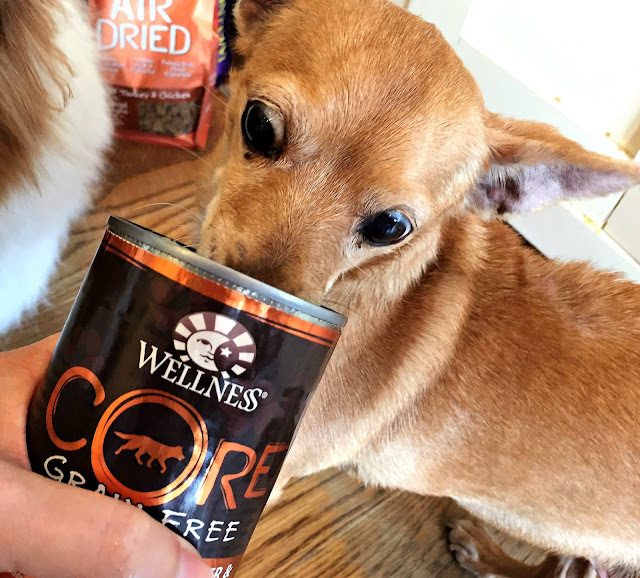 Before I go any further, I need to tell you something: As disclosed, I was compensated to write this post, including with a three-month supply of Wellness CORE dry dog food for Lele to try. Turns out, one 26-lb bag (my initial supply) is more than plenty to feed a 10.5-lb chihuahua, who eats 1/4 cup of kibble twice a day, for three months (more like four). I was BLOWN AWAY, then, when at the beginning of June, the FedEx guy dropped another 52 lbs of Wellness CORE food for Lele on my front porch! 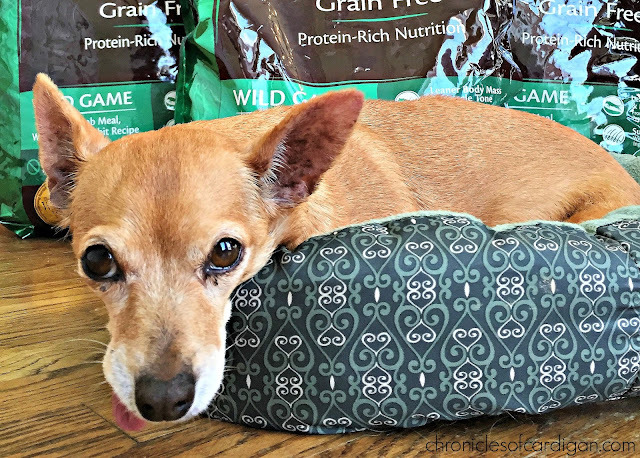 And if that wasn't enough, a few days later, FedEx guy brought us a full-size bag of Wellness CORE Air Dried food (tender little protein bites) to use as a topper for her kibble. All math computed, that's a whole YEAR's worth of food supplied by Wellness for Lele! After spending a small fortune on her vet visits and private pharmacy this year, I would be remiss not to shout how grateful we are! Too tired from all the chowing down to lift her head. 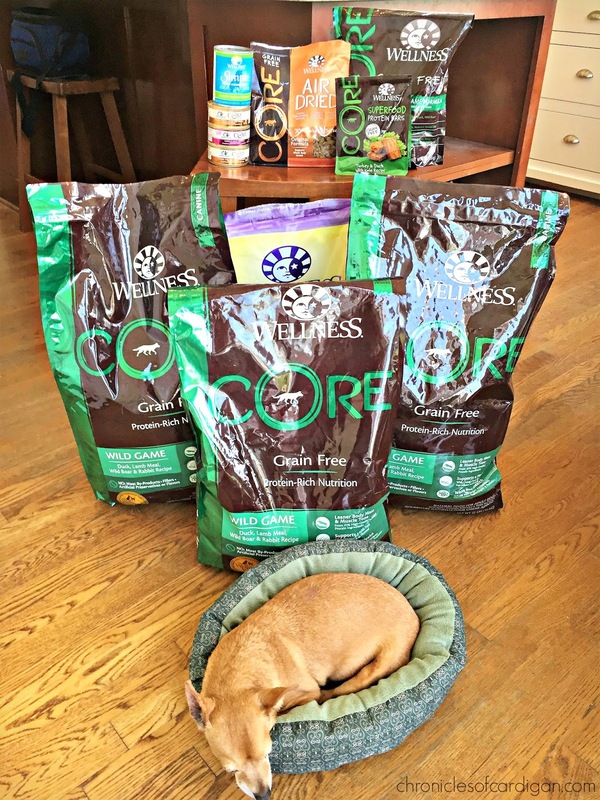 Check out all the CORE food Lele got*! Thank you, Wellness! * I purchased the rest, including the CORE protein bar treats. Turns out WellPet Foundation--the charitable arm of Wellness Natural Pet Food--reaches out to help people and their animals in need a lot, including (in partnership with PetSmart Charities) a recent donation of 95,700 lbs of pet food to Alberta, Canada fire victims. 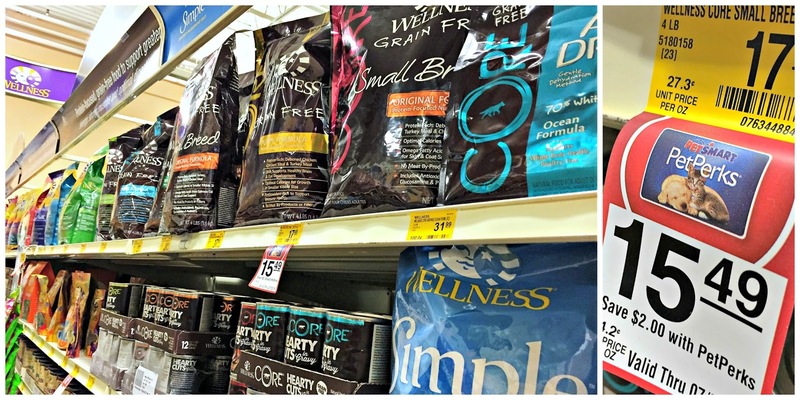 Wellness recently donated 95,700 pounds of pet food to the Alberta fire victims through partner @PetSmart #BlogPawsChat <- high paw! Deranged food-eyes are totally normal and could be construed as a sign of wellness (at least a healthy appetite). 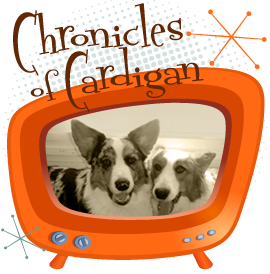 Since I wrote parts one and two of this series, her coat (where it's not thinning) has gained luster and softness, and the only "fragrance" wafting from her these days is, well, simply "eau de chihuahua." And for a 10-year-old, her spirit is more like a girl's half her age: from bossing the corgis around, to admonishing a golden retriever who was minding his own beeswax in the lobby of the vet's office last time, my old girl still has plenty of fire left in her crackers! Don't count her out of recreational activities, either: leaping and zooming around the house after walks and baths, and at the moment she realizes her next meal is coming, is a daily occurrence. She's even into the occasional play bow, and just yesterday, she tried to shake Bertie's stuffed goldfish into oblivion (the fish survived). Lele is resilient. And all things considered, enjoys life. And I can't tell you how badly her vet and I are hoping she has Sarcoptic mange! 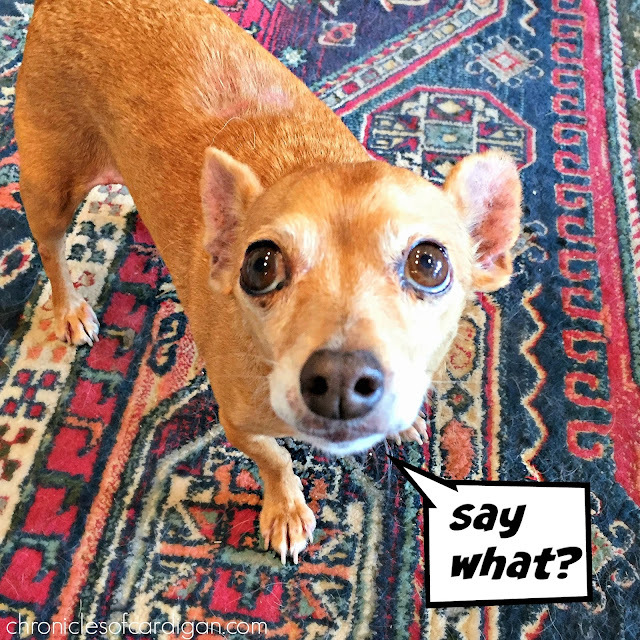 At Lele's last veterinary dermatology appointment (June 6), after what was a long, allergen-speculative filled morning, the doctor noticed some troubling crusts--which can be a symptom of scabies, or Sarcoptic mange--on Lele's ear tips. She then performed a Pedal-Pinna (ear scratch) reflex test (rubbing of the ear margins to try and get the dog to reflexively move its hind leg in a scratching motion), and LELE MOVED HER LEG! She tested positive! (A positive test is a VERY good indicator that a dog has scabies. In many cases, because the scabies mite is very difficult to find in a skin scrape test, is the only indicator that a dog has scabies.) My girl could have bugs! Do you know what that means? It means that if she does (and it can be treated easily with a topical*), all her itching and crusting and hair loss and scaling might not be due to allergies at all! And if that's the case, once we get rid of the mites, her skin battles could be OVER! So I repeat, PLEASE LET IT BE SARCOPTIC MANGE! Thank you, but I don't accept your pity. * The vet prescribed a topical insecticide, FDA-approved to treat Sarcoptic mange. 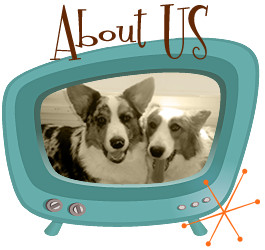 Because the condition is highly contagious among dogs, both corgis are being treated with the same product. The complete course of treatment lasts six weeks, but we should see marked improvement in Lele much sooner. While we were at the clinic, the doctor also prescribed a different oral antibiotic (since Lele still had signs of bacterial infection on her skin and in her ears), added antiseptic/anti-inflammatory ear drops, and an oral steroid. This in addition to her oral antihistamine and medicated baths. 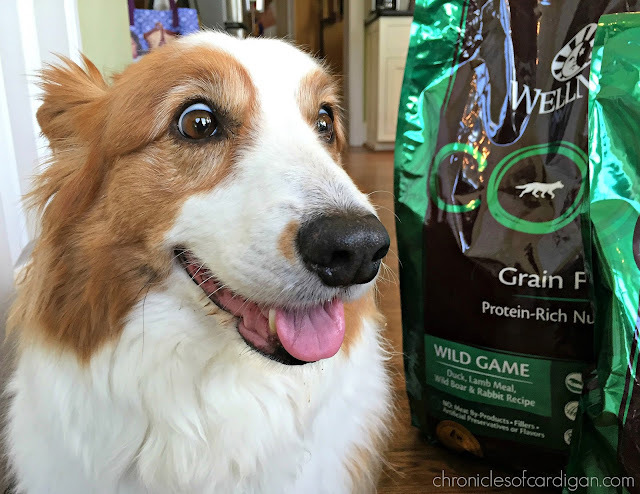 If it's possible to be soul mates with a dog food, Wellness CORE kibble is mine (as far as Lele is concerned). For many reasons, not the least of which being its propensity to soak up water quickly and whip up into a fluffy souffle that toothless Lele can eat, I love everything about this food. It warms my soul EVERY DAY to see Lele plunge her face into her bowl and enjoy the act of eating, rather than swallow her kibble whole. The fact that the food is exceptionally good, no PERFECT for her nutritionally, is why I want to marry it. 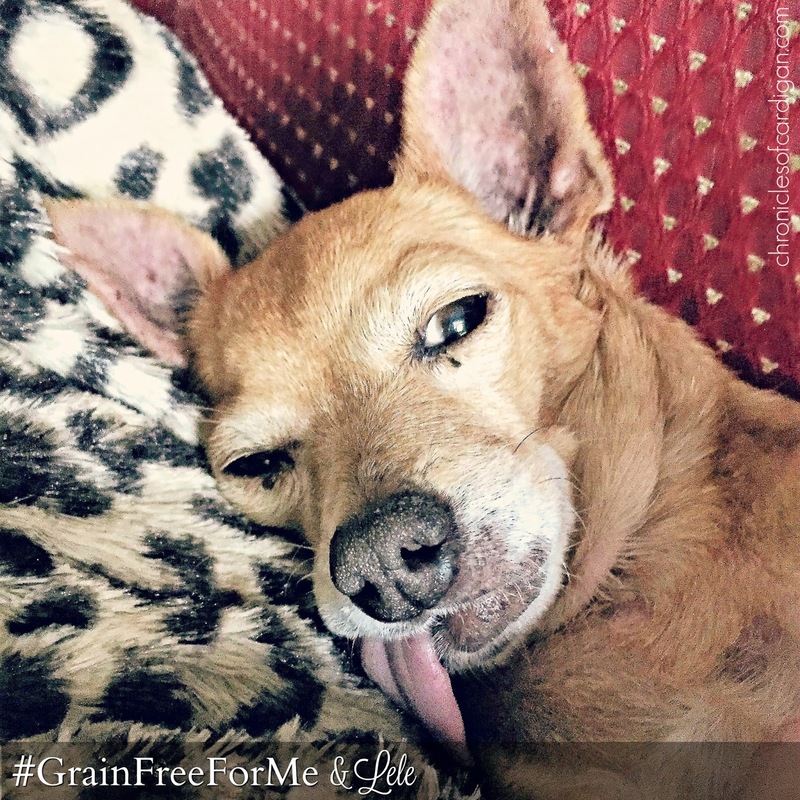 Even if it turns out Lele does not have allergies (if it's not scabies, we'll have to start a hypoallergenic food trial to rule food allergy out), grain free CORE will always fill her bowl. Forever! (Or until Lele and I are gone, whichever comes first. boo.) I might even change the recipe up a little when we run out of Wild Game. In fact, every Wellness product pictured in this blog post is available at PetSmart, in stores and online! Lele is not a natural on camera, but that doesn't make her any less of a dog. Also, we ran this errand when I thought Lele only suffered from allergies (which still might be the case, but I hope not). I'll be back next month with another update on Lele's wellness journey; in the meantime, will y'all please join me in hoping she has mange? Is that the grossest, strangest request you've ever seen on a blog? 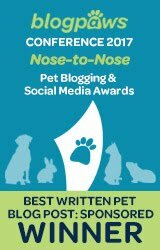 Do any of YOU have experience with Sarcoptic mange (in a pet; people can get those suckers, too)? How was it diagnosed? Was it easy to get rid of? Bonus video! Dinner time (a full recap, plus cameo appearances by Jon Farleigh, Dewi and Maddox)! 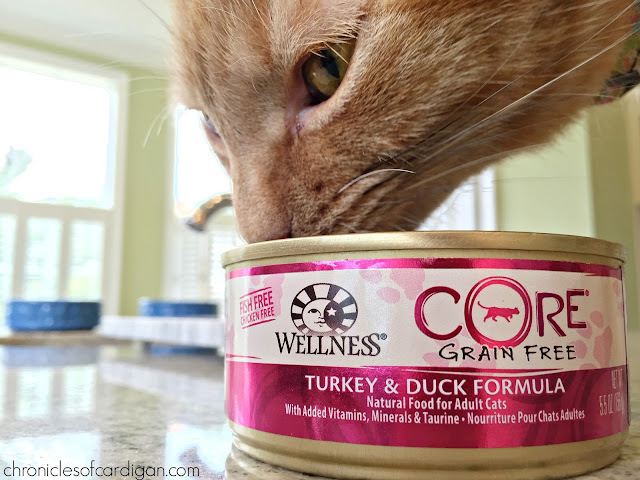 Bobby Flay O'Fish with his face in a can of Wellness CORE for cats! 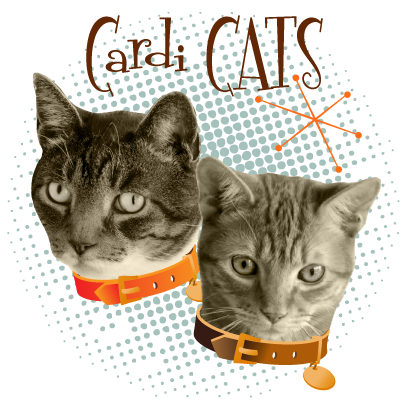 They (the cats) love it! We love Wellness! I have no experience with sarcoptic mange. Demodex, on the other hand...that I know. Our foster last year was completely hairless from it. We love Wellness and PetSmart! 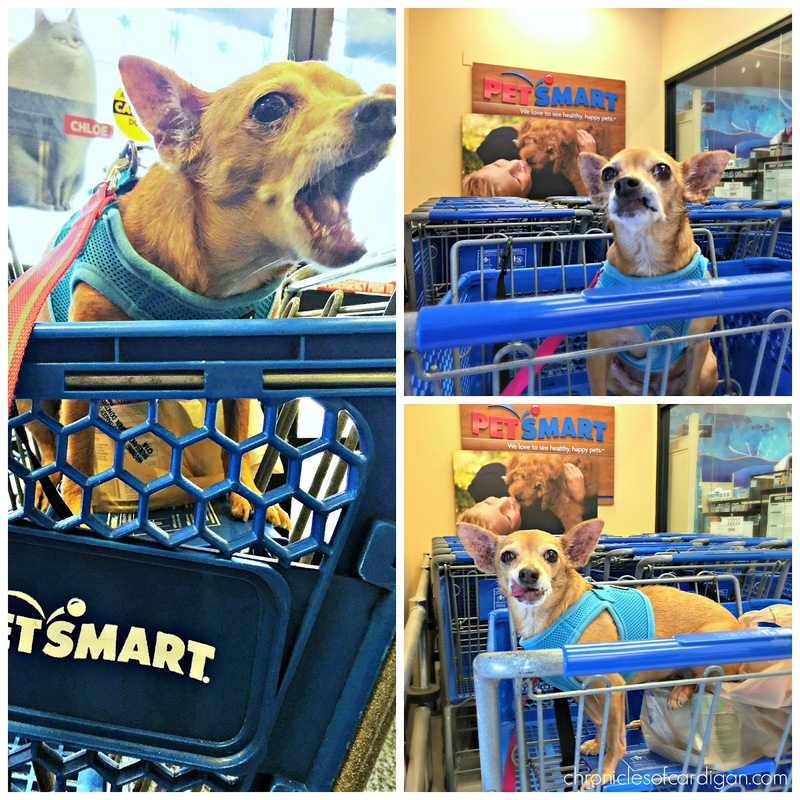 Bentley walks but Pierre rides in the buggy when we go shopping. I love that you have rescued Lele and she's on her way to being healthy. Thanks and thanks for the two cutie patooties at the end. This is a great review and I have been looking for a new food for Henrietta and this sounds like it might be worth trying. Fantastic pics of your cute dogs! I'm so sorry about what you're going through and wish the best. We've had our fair share of allergy issues within the pack. Oh my goodness! Have you and poor Lele been through a lot! 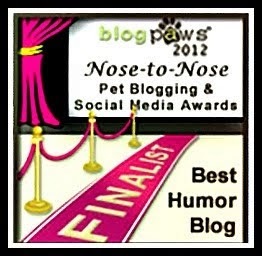 I have not experienced sarcastic mange in any of my pets - thank goodness! I wish you and Lele all the best and so happy she to see she is looking better and loving life! I hope you don't ever get any mange experience! Boy poor Lele. Thank you for all you are doing to help her and how great Wellness is supporting you and Lele. We tried their food after reading your post. Good luck with mange- sounds disgusting but I guess the lesser of two evils. It is GROSS (I try not to think about what might actually be lurking in her skin). But it truly is the lesser of evils in this case. I'm holding my breath a little. Hope y'all liked the food. Yes, when I worked as a vet tech, we often had dogs show up with sarcoptic mange. Also, the more dangerous kind, demodectic mange, which is NOT easy to treat. Hope your girl gets well soon (and if it IS scabies, you may need to treat the other critters, too, it's very contagious). The vet was very relieved there was no demodex on any scrapings, though, the shelter treats it in dogs daily, and they all eventually clear up. The corgis are being treated, too. No people have had any symptoms, yet! Paws crossed for you that it is sarcoptic mange! We have had a couple of strays show up with it and you are right! It is an easy treatment! So, all paws crossed for you! Oh Boy! We certainly can sympathize. Those skin irritations are not fun. We haven't experienced mange but as a pet parents we understand how helpless you can feel at times. I'm glad you found a good, grain-free product! Paws crossed it is the sarcoptic mange and it's gone soon. Truffle and Brulee love Wellness products. We join you in hoping it's mange! Do you freeze extra food for Lele? We had to buy tiny bags for Mr. N as the food would go bad before he could finish it. You mean the hypoallergenic diet? She's not on that yet, but it's a commercial product, so I won't need to freeze. The vet did give me a recipe for one I can make at home, which WOULD need to be frozen in batches. I hope we don't get to that point. Ugh. Lele is one special girl who is lucky to have found you! I didn't even know dogs could get scabies! Can it go between us and our furry family members? Yes, Denise, it can spread to humans, but it's not exactly the same as the human species of scabies, in that it can't complete its life cycle on a human host. So, it would just itch like crazy for a few days and resolve itself. No humans have been affected here, though. No signs on anyone but Lele. Lele is looking so much better! I never thought I would wish mange on anyone, but I hope she has sarcoptic mange. If she does, are your other dogs at risk for getting it? I know that scabies travel pretty easily between humans. Yes, the corgis are at risk, so they're being treated as a precaution too. 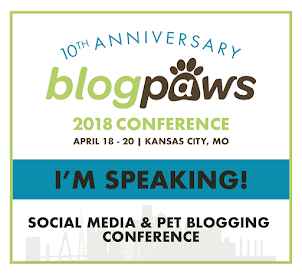 I love the title of this post …maybe because I have a thing for broken dogs (and broken cats) or dogs and cats that others consider broken. Lele is beautiful and I am hoping she has mange …never thought I would say that to anyone! Thank you. 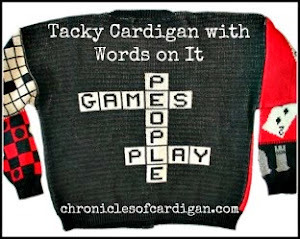 ☺ Yes, that's a pretty odd thing to wish on someone! (Kinda like getting strep throat, though, vs. the flu (or something viral).) The cure is pretty simple, comparatively. Lele is doing so great! It's amazing that after all she's been through and at the age of 10 that she is still so feisty and has such a zest for life. 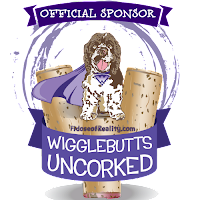 Kudos to Wellness for helping so many pets impacted by disaster & for helping Lele continue her wellness journey.